Hiking is one of those activities enjoyed by most outdoor adventurers, especially if you have the right gear. And there is no better gear to have than the best waterproof hiking pant. These pants are meant to be breathable, lightweight, and quick-drying to offer maximum protection in unpredictable weather. Also, they are designed to fit nicely to give you the freedom to move easily. Not to forget that most of them are equipped with several pockets to help you hold a few necessities safely and within easy reach. There are several features that make up the best hiking pants, just read through the following reviews to discover a pair or two. Designed with sun protection and quick-wicking fabric, the Columbia Men’s Silver Ridge Convertible Pant is the ideal pant for active days in the sun. It is equipped with gusset details, a partial elastic waist, and zip-off legs to offer ultimate comfort. This pant comes with a zip-closure security pocket, side pockets with hook and loop closure for convenience and efficiency. It is available in an assortment of sizes at various prices to meet different needs and budgets. The convertible pant boasts high-quality polyester, nylon, and mesh construction materials to offer extra durability and longevity. It is lightweight to ensure maximum freedom of movement while carrying out different tasks. 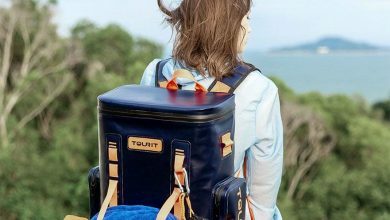 As a result, it is suitable for autumn and spring backpacking trips. Remember, this pair of pants has a variety of colors to enable you to choose the right one for your style. 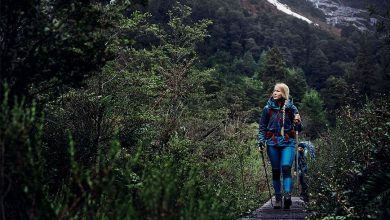 Consider the Singbring Women’s Hiking Mountain Pants for climbing, hiking, mountaineering, fishing, and traveling. They are crafted using soft shell polyester material that feels smooth and comfortable against the skin. 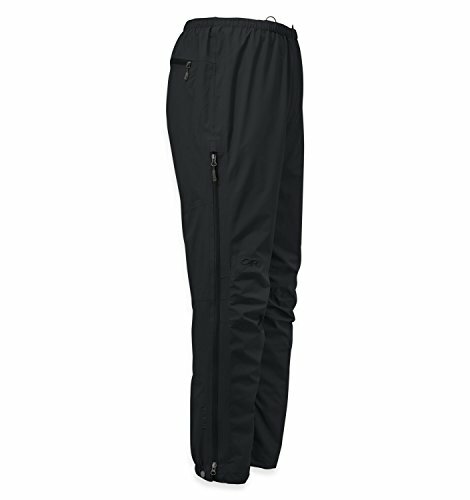 The hiking pants boast an adjustable waist to fit women of various sizes comfortably. Similarly, they have a nice design that makes them stretchy at the knees for easy mobility. There are zippered front pockets to give you secure storage of quick-access items. The pants come in a low-profile grey color that matches perfectly with the outdoor environment. 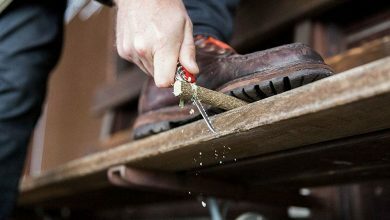 They have a durable construction that will see them offer several uses before showing any signs of weakness and damages. These pants are lightweight enough not to weigh you down while enjoying your favorite adventure. What’s more, the fabric used feels really nice against the skin to ensure extra comfort. Featuring a quick-drying design, the Zeagoo Women’s Rain Pants make the perfect choice for outdoor activities such as motor riding, snow hiking, hunting, fishing, and mountain camping. 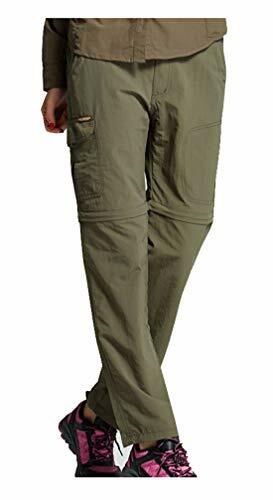 These pants are made of 100% polyester fabric, which is breathable and soft for ultimate comfort during outdoor adventures. They are available in various colors and sizes to meet different taste and preferences. The pants are water-resistant to fend off light rain in order to keep you warm and dry. Also, the hiking pants are durably constructed so that they keep looking and performing great even after years of prolonged use. There are 2 large waterproof zipper pockets at the front to help you carry many items safely. Better yet, these pants have a partially adjustable waist and a press button closure to offer a perfect and comfortable fit. With a fleece layer lining, the Camii Mia Women’s Outdoor Hiking Fleece Pants are absolutely comfortable to wear. As such, they are great for outdoor adventures like hiking, snow skiing, hunting, cycling, traveling, and camping. The pants are made of 97% nylon and 3% spandex to be very soft to touch and comfortable to wear. This pair is designed to fit well with a flattering style that accentuates your body features. The surface layer of the pants is waterproof to keep you ultimately warm when hiking in cold seasons. There are 2 front slant zipper pockets, 2 knee pockets, and 2 back pockets to help you carry necessities within easy reach. This pair of pants is true to size to help you get the ideal fit. Besides, it is available in colors black and navy to enable you to choose the best for your needs. Ninety-seven-percent nylon and three-percent spandex are the materials used to make the Binhome Men’s Convertible Pants. The hiking pants are designed with a streamlined adjustable waistband to help you achieve a customizable fit. There is a sturdy zip closure that is easy to pull up and down for optimal convenience. The pants are mainly available in small and medium sizes, making them suitable for men of medium size bodies. They are tastefully designed with high functionality in mind, and, therefore, can be used for jogging, backpacking, fishing, climbing, and running. You can also find your favorite pair from the numerous colors available. These pants boast a loose fit and straight leg to make you absolutely comfortable during your outdoor adventures. And they are well-made with durability in mind to offer great value for the money. In addition, these pants have a thought-out zip-off construction to offer optimal versatility. Made of rainproof ISODRY material, the Mountain Warehouse Pakka Mens Rain Pants will keep you dry even if the weather gets wet. It has stitched seams taped to offer added protection and durability. The pants come in 3 different colors including navy, black, and khaki for you to choose from. Each item is equipped with hook and loop adjustable ankle opening for a secure fit and added convenience. The pants run large in size, enabling you to layer them on top of regular trousers. Furthermore, there are accessible pockets on both sides to give you more functionality. These pants also come in different sizes to enable you to find the right fit. They are lightweight and fold away easily for simple storage and portability when not in use. Not to forget that they come with a drawstring bag for easy transport. 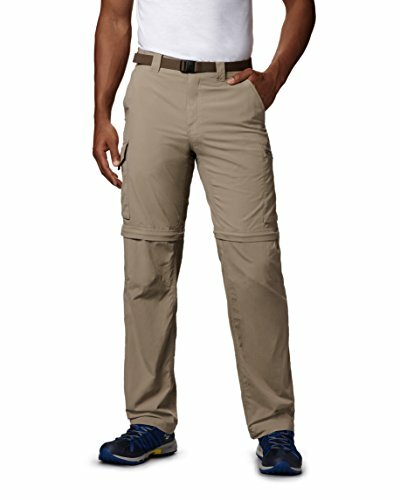 Constructed with easy zip-off legs, the White Sierra Men’s Trail Pant converts easily from pants to shorts for when the temperatures change. The material used is 100% nylon, which is lightweight to dry quickly when the pants get soaked wet. There are back hook and loop pockets, cargo pockets, as well as front slant pockets for maximum comfort and mobility. All the pockets are made of mesh fabric for easy draining if they get soaked. The pants feature a flat front with elastic side waistband to allow for a custom fit. They come with a belt buckle system that is a bit odd but works well and won’t snap open randomly. These pants are constructed with high-durability in mind to offer extra longevity and strength. They come with an expandable leg opening with zipper and hook-loop closure for ultimate convenience. Moreover, they are affordably priced so you won’t break the bank just to own them. The Outdoor Research Foray Pant is loaded with all-weather features to provide solid protection when drizzles set in. It is waterproof and, at the same time, breathable to keep you comfortable and protected against the outdoor elements. 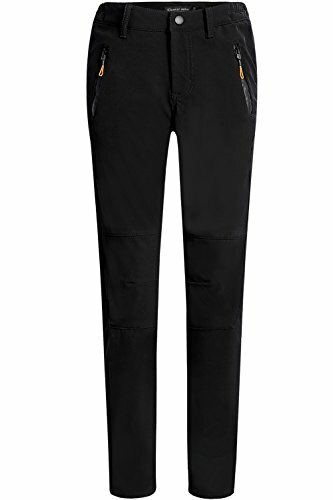 The hiking pant has an overall construction of 100% polyester 50D. 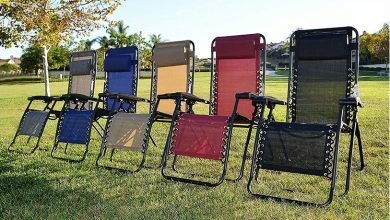 As a result, it is strong and sturdy enough to hold up well against the rigors of the outdoor environment. 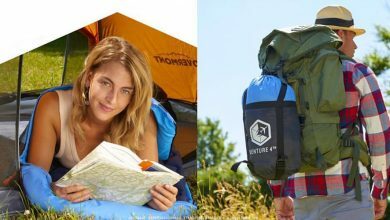 There is a large rear pocket that doubles as a stuff sack to help you hold a lot of hiking gear. The pant comes with accessory suspender loops to enable you to customize it as desired. It is equipped with an elastic waist and a drawcord to give you a comfortable fit. Plus it has long side zips for easy on and off. 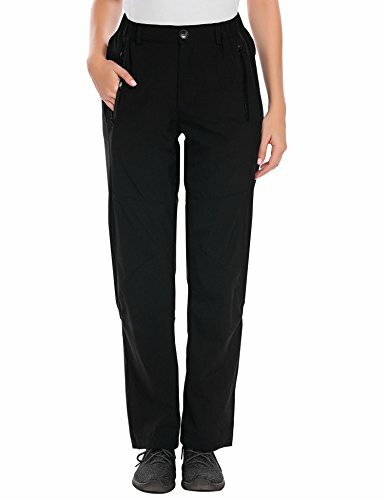 Moreover, this pant comes in a minimalist matte black color that suits the outdoor theme very well. Equipped with stretch Ozonic material, the Mountain Hardwear Outdoor Jacket – AW16 has 4-way stretch to offer a natural range of motion. It also features unique Dry Q active technology that makes it waterproof and breathable to banish excess moisture. It has a 40D face fabric that is lightweight and durable to keep you very comfortable outdoors. As a result, it makes the perfect choice for aerobic sports like running. There is one single thick pocket to provide safe and secure storage. The hiking pant has side zippers with two security closures for added convenience and functionality. Furthermore, this hiking gear is lightweight, making it easy and comfortable to move around in. Choose the 5Oaks Men’s Rain Over Pants for any outdoor activity including camping, fishing, hiking, hunting, biking, and mountaineering, among others. They have a pull-on elasticized waistband with one-hand drawings and stopper adjustment. Also, there is a snap button adjustment on top of cuffs for maximum comfort. 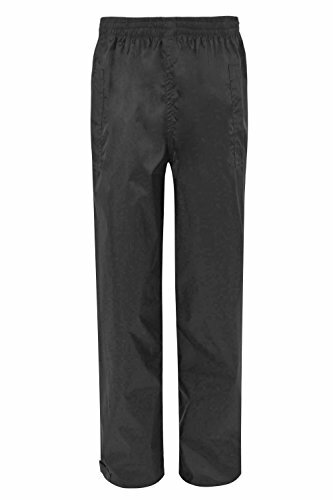 The rain pants are made of 100% polyester fabric, which is ripstop to offer additional durability and longevity. They come with a left thigh-high pocket with waterproof zipper to help you keep important items safe and secure. They are designed with enough room to allow you to wear them over regular pants with ease. The pants are lightweight and look attractive to make you look more presentable even while hiking. Better still, these pants come in different sizes, so you can find one that fits you best. 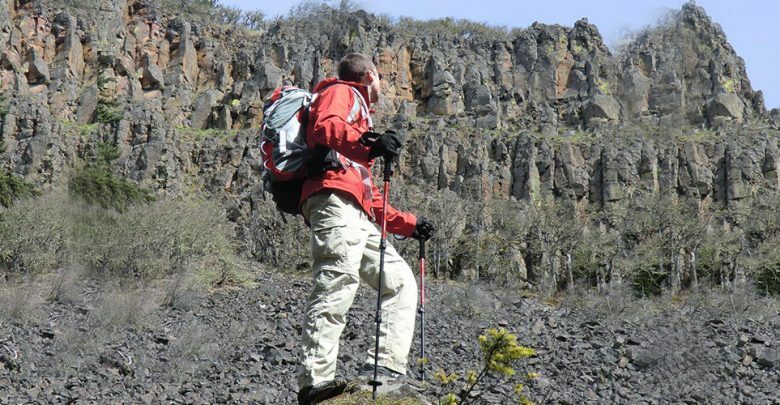 There are several factors to consider when choosing the best hiking pants. But we have only included 3 of them to help you make a choice easily and quickly. The best hiking pants are those that are form fitting but not restrictive. You don’t want to end up with a pair of hiking pants that are too tight to bend and move in easily. Therefore, consider hiking pants that will fit you comfortably without being too tight or too loose. This is because a tight pair may limit your movements while a baggy one may flap in the wind and feel a little heavy. Although hiking pants are designed for a wide range of climates, a few factors may separate the pairs that will keep you cool in hot weather and those that will keep you warm in cold weather. Thus, if you are going to a hot place, for instance, you may need to choose convertible pants that convert to shorts for added versatility. On the other hand, if you are headed to a cold environment, you will need a warm pair that is also waterproof to protect you from light showers and snow. Most people overlook color when it comes to choosing an outdoor garment. The reality is that color can make a huge difference in terms of how you feel in the pants at various climatic conditions. The best thing is that this compilation includes pants in various color options, so you can easily find one that will serve you well in your next hiking adventure. What is the best fabric for hiking pants? Hiking pants are made of various fabrics (mostly polyester, nylon, and spandex). The best fabric is one that is water-resistant, air-wicking, super durable, and stretchy. Are hiking pants with an elastic waistband a good idea? Yes. A pair of hiking pants with a little stretch is a good idea. This is owed to the fact that it offers a tight fit and feels comfortable to expand when need be. Do you need convertible hiking pants? Convertible pants are a good idea if you like to go hiking in hot temperatures. This is because they convert to shorts easily so you won’t need to carry a pair of shorts for when temperatures rise. All the hiking pants listed above are unique and special in their own ways. However, to get the best one, pay attention to the durability for endless use; good ventilation for maximum comfort, and quick-drying abilities for ultimate convenience. With that being said, we believe you have the best chance to find the best hiking pants.